In 1-cup microwavable measuring cup, microwave maple syrup uncovered on High 1 to 2 minutes or until hot. Set aside. 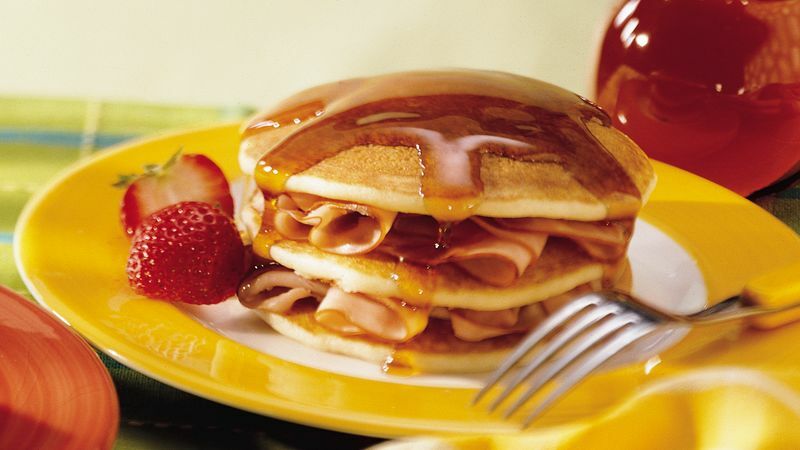 Remove plastic wrap from pancakes. Place ham between pancakes. Place on microwavable serving plate. Microwave uncovered on High 1 to 2 minutes or until pancakes are hot and no firm spots remain. DO NOT OVERHEAT. Top with syrup. Serve immediately.